As the fall semester comes to a close, many of us on the Trans-Q Television team are, quite frankly, going bonkers. Presuming many of you feel the same way, we would like to offer some light entertainment to make the days and nights easier until your final-est final is complete. So, here are 5 videos which have inspired the creativity and vision showcased in Trans-Q Television! Watch and enjoy – but don’t blame us if you fail an exam because Carol Burnett > organic chemistry. Hollywood’s rowdiest redhead, Carol Burnett’s weekly variety show induced gaffaws in Americans for over a decade. In this snippet from the farcical soap “As the Stomach Turns,” Marian (Carol) receives a visit from her newly-possessed niece – Raven, played by the amazing Bernadette Peters. Watch for the Watergate reference! Giving us a glipse of Ru before she could even muster a drag jog, Tom Rubnitz created fantastical, glittering video art throughout the 1980’s. Check out this ‘surprising’ clip featuring Ru, Lady Bunny, and more. We still don’t know where the pickle is! 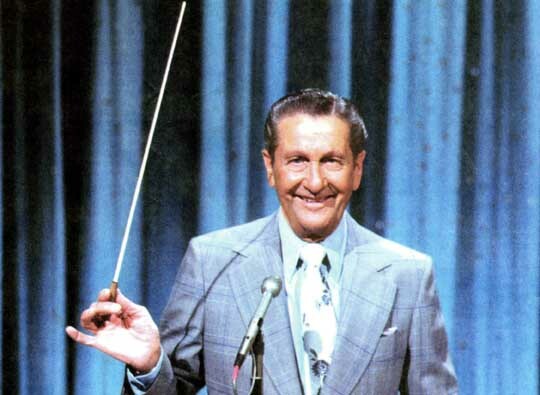 Many a Saturday night, I would sit in my grandmother’s cold television room and watch the long-lived The Lawrence Welk Show. In this tribute to decades of dance, the flamboyant duo Bobby and Cissy treat us to a range of sequined, feathered dance styles. Someone please mail me Cissy’s black floral dress. Disclaimer: This video might only be inspiring to the author of this blog post. All the same, Sara Carlson’s 1984 introduction to the Italian variety show Al Paradise is phenomenal in every way. Break dancing backup dancers, acrobatics, salmon bikinis… sheer Euro 80’s perfection. Got a favorite vintage video? Send it our way! Tweet us at @transq_tv or post on our Facebook page.